When you win a championship trophy, you want to parade it all over town. 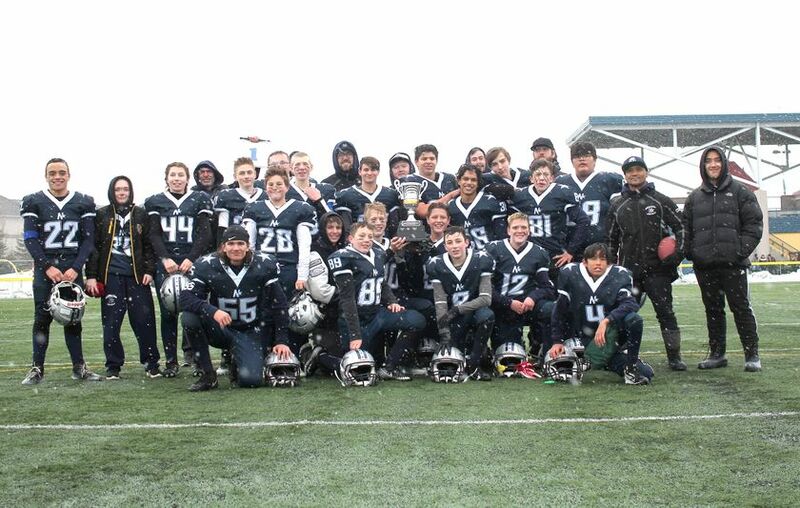 Although, the Sherwood Park Bantam Northstars wish they hadn’t have had to make one stop after winning the Capital District Minor Football Association’s Tier 4 title on Sunday — the hospital. Late in the second quarter of their 48-12 victory over the St. Albert Fury, Northstar Elijah Statt went down with an injury and was taken by ambulance to the hospital. Shortly after collecting their trophy, the entire team went to check up on Statt and share the celebrations with him. As for the game itself, the Stars were able to refocus and steam roll to the win, getting three touchdowns from Izaiah Oliveros and two apiece from Dustin Jonker and Damian Duru. Wright is hopeful that their successful season will help with recruitment for next year.